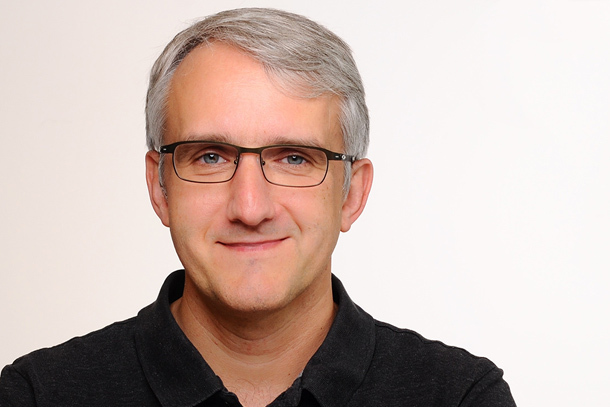 Saarbrücken, December 4, 2018 – As from November, Jochen Bedersdorfer has been active as the new CTO of Sematell, the specialist provider of response management solutions based on Artificial Intelligence. With this step, Bedersdorfer, who has gained Silicon Valley experience, is returning to his roots. Already during his degree course in Computational Linguistics, the technology specialist had launched his career at the German Research Centre for Artificial Intelligence (DFKI) in Saarbrücken. He played a pivotal role in the development of Mailminder, an early version of today’s response management solution ReplyOne. After the spin-off from the DFKI, Bedersdorfer drove the development forward as Software Development Manager in the new company, which was then called XtraMind. After the company was acquired by Attensity, Bedersdorfer moved to the parent company in the USA in 2009 where his last position was Vice President of Engagement Solutions and Technology. In 2014, he took over management of software development at Saffron Technologies and was instrumental in the successful sale of the company to Intel in 2015. Before rejoining Sematell at the end of 2018, he was highly involved in the Silicon Valley start-up community with the dominant technical issues of Artificial Intelligence and blockchain, including as founder and CTO of ContextSmith and Director of Engineering at Cryptowerk. For his first public appearance as CTO of Sematell, Jochen Bedersdorfer has chosen CCW 2019 (19-21 February 2019), the International Trade Fair for innovative customer dialog. “Intelligent, digital, automated — that’s how you can exploit the potential of Artificial Intelligence for your customer service!” This is the title of the presentation which he will give at the trade fair forum in Hall 3 at 2 pm on 20 February 2019 as part of Sematell’s presence (Hall 3, E12/F9). Sematell, headquartered in Saarbrücken, is a specialist supplier of highly scalable response management solutions on the basis of Artificial Intelligence. The Sematell solutions for use in contact centers analyze precise, written enquiries in over 70 languages and always supply the right individual answer. The outstanding language and topic identification feature was developed at the German Research Centre for Artificial Intelligence (DFKI) and delivers maximum productivity, customer satisfaction and cost-effectiveness. Sematell is initiator and member of the Trusted Network for innovative omnichannel customer service. As part of this cooperation, there are interfaces with specialist telephony, chat, translation and knowledge database solutions from market leaders available for the ReplyOne response management solution. Sematell GmbH’s prestigious customers include among others Deutsche Telekom AG, Deutsche Postbank AG and Medion AG.